Although the name is familiar to you, think of Aaron Benward as a brand new artist on Sparrow Records. After all, it's a new chapter with a new musical direction and clean slate. 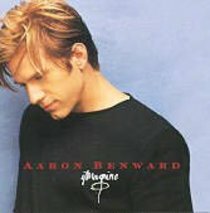 He makes his debut on March 16, 2000 with his first solo recording - imagine. Sometimes Aaron Benward's acoustic pop music smiles with laid back charm, sometimes it scorches with unvarnished passion determined to make the lukewarm believer sit up and take notice. And always, it calls the listener to shake off complacency and be revitalized by a real relationship with Christ. The album's fresh, pop, radio-friendly tunes with honest lyrics have Aaron poised to be the leader in the next generation of aggressive male pop vocal performers.